Corbitt Power & Light offers a complete range of overhead electric distribution construction services for new construction and emergency restoration. Experienced line personnel and a fleet of well maintained equipment reduces safety issues, improves productivity, and reduces down time. 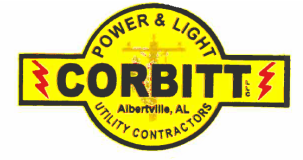 Corbitt Power & Light offers safe and quality service to meet your specific need.